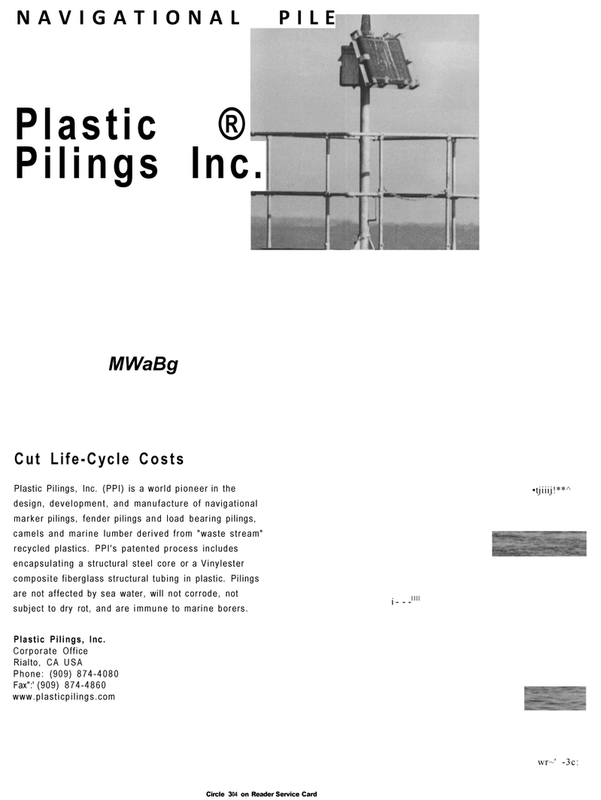 Plastic Pilings, Inc. (PPI) is a world pioneer in the design, development, and manufacture of navigational marker pilings, fender pilings and load bearing pilings, camels and marine lumber derived from "waste stream" recycled plastics. PPI's patented process includes encapsulating a structural steel core or a Vinylester composite fiberglass structural tubing in plastic. Pilings are not affected by sea water, will not corrode, not subject to dry rot, and are immune to marine borers.